Welcome to my complete walkthrough for the console versions of The Legend of Spyro: A New Beginning. After the introduction movie, you'll gain control of the young, purple dragon known as Spyro, well, almost. Move the camera around until you spot Sparx over to the right. Follow him with the camera until he goes behind a large mushroom plant. You can now move, follow along where he went and go up the slope to where it stops. Do a running jump over the gap and continue on along the path though to where Sparx is waiting. Charge along the branches otherwise you won't quite make it to the other end and fall down a short way and you'll have to try again. A short distance from there you'll face the first enemy, a Frogweed. Kill it using your melee attack a few times. Smash down the barrier in front of you with the melee attack and get killing another Frogweed, this time it's a real fight though so you will have several of them attacking you at once. Luckily Spyro's melee attacks can hit more than one at a time and you should make short work of the Frogweeds. Destroy another barrier that Sparx flies through and then smash the snake skull by performing an air combo as described in the game. Head through into the snake cave and follow Sparx some more. Kill the Frogweeds you find on the way and you'll reach the exit. Hordes of, what shall be called, Soldiers attack. Melee them until their Leader throws a stick of dynamite at you. Smash it away with the melee and yet more Soldiers will jump down to try their luck. Keep killing them and avoiding the dynamite the leader throws down until they're all dead and he runs off. Using your newfound ability of breathing fire if you want to, though using the melee is a bit quicker, kill the remaining waves of soldiers to finish up here. And after that bombshell, Spyro's back on his journey. The game will save (finally) and you'll want to kill the Frogweeds in front of you. Walk up the slope on the left and you'll reach a mushroom looking object in the ground. This is a Bulb Spider, another common enemy in the Swamp these are a little tougher than the Frogweeds and take a little more to kill, but there's nothing all that special about them. Keep going along the path and then glide over the gap. In an oddly quiet fight, kill another pair of Bulb Spiders and move on round the corner where you'll see another load of monkeys arriving. Jump down to them and kill all of the soldiers and their leaders. Once the several waves of monkeys are dead, a large wall up ahead will smash and another new type of enemy will arrive, known as Growths. As the game states, the best way of defeating these is to strafe around them, flaming them as otherwise they have a tendency to hit you when you get too close. Once all three are dead go to where the smashed wall was and continue that-a-way. Jump onto the platform in the middle of the area, then again to another one just in front of it, and then onto the land on the other side. Kill the Soldiers and the Leader standing there before going past. Sparx'll show you the way, jump onto the platform over the thorns below, then again over a tree branch to another platform in the midst of the thorns, then one final jump to dry land. Again with the path and you'll meet Ignitus. Follow Ignitus the short distance to the closed door ahead. After you get told what you're needed to do, jump up to the left and smash open the entrance to a small cave. Follow it through, killing the Bulb Spiders as you go, and when you get to an opening go up the stepped platforms on the left to glide over a gap on the right and into another cave. Follow it along and you'll reach a place to use your tail strike upon, this move is almost identical to the Head Bash/Horn Dive of old but Spyro hits the ground with his tail instead of his head. Once inside you'll be set upon by wave after wave of Bulb Spiders. Once you've managed to kill them all, push the two statues into place by walking at them, they'll only follow the set direction into place and you'll know when they're successfully in by a light. 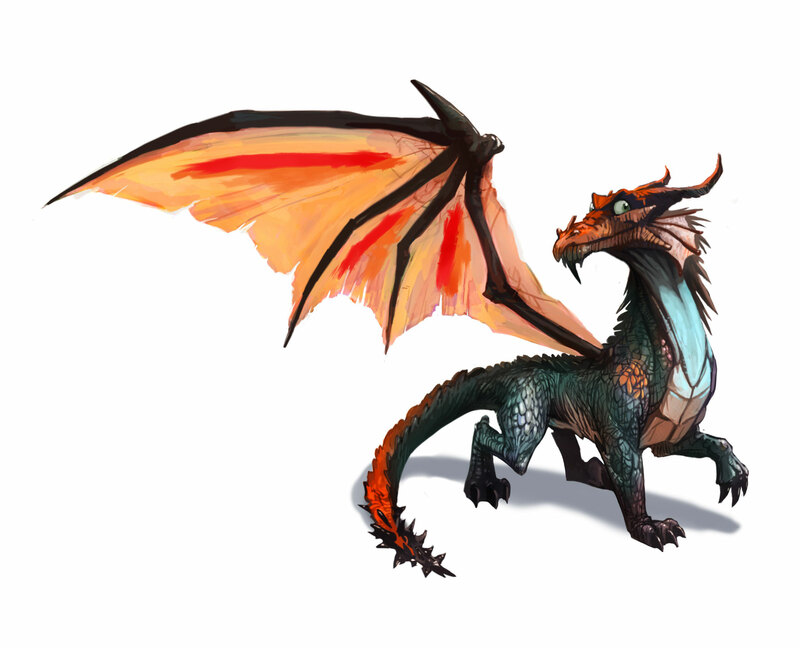 You'll leap up Ignitus's back and into a cave above. Smash the gem cluster on the left to get some free gems then move along through to an opening where you'll find a few monkeys to kill. Once they're gone, push the statue here into place. Walk into the dark cave on the left and kill the Bulb Spiders inhabiting it. Push the second statue into place and carry on through the cave to the left. Smash a couple more gem clusters and jump over the pit of thorns to get to a door at the other end, you're back with Ignitus. You'll now be able to earn experience to upgrade your attacks using the Level Up menu. Smash the gem clusters to get your first few blue gems which provide that experience. Helpful as ever, Sparx will point out what you need to do. Hit the pillar he is indicating and you'll be able to move on through the new tunnel. Kill the Soldiers and the Leader at the end of it and you'll trigger the next part. Some more Soldiers will smash through a wall ahead, kill them and follow this new tunnel through to a new kind of monkey, a Commander. Kill it and move on. Jump down and light the fuse with your breath, all of the sleeping monkeys will die but you may need to finish off the Leader behind them. Go through the cave behind him and you'll join up with Ignitus again. Kill the room full of Soldiers, Leaders and a Commander until Ignitus comes through. Then just walk forwards and into the next room, the centre of the temple. Kill the two Soldiers that run straight at you, then kill a crowd of more Soldiers and a Leader. Wait for Ignitus to slowly walk to the other side of the statue to continue. It's time to train in the ways of the dragon. First up will be a reminder of how to use your fire breath, kill the dummies as they approach using it, then go over to Ignitus to get to the next part once you're successful. Again quite similar except that this time the dummies will be running away from you. Run around the room flaming them, you should be able to corner them in this round room by flaming to one side and then to the other where they will run to. They're not strong and will die after a single sustained burst. Next up, melee. Hit the dummy by holding down the melee button, it should be thrown up into the air if you did it right. After that you'll again throw it into the air and then need to perform a combo in the air before it hits the ground again, luckily enemies tend to stay in the air for quite a bit longer than gravity should allow. A horn dive attack now, do it to each of the dummies in the circle. Instead of holding melee, tap it four times and then perform the same air combo as before. Next you'll be asked to knock back the dummy whilst in the air, simple. And again a slight variation with meleeing it several times to knock it into the air before knocking it back. Taking it a little further, you're asked to knock dummies into each other. Do this for each of the pairs of dummies that pops up to achieve the goal, the only difficulty being whether or not you align yourself correctly to get them to collide. A slightly more annoying one next though, you need to knock the moving dummy into the stationary ones, achieve this by lining yourself up with the target dummy inbetween you and the others before even trying. If you seem to be a little off when you jump up to it, hold in the opposite direction to where you might expect to turn to and you should be able to redirect the dummy. An actual new move now, you'll learn to use your fire breath as a long range attack. Point in the direction of the targets on the other side of the fire wall and fire your secondary breath at them all, destroying them to pass. You'll then use it in a bit more combat orientated manner, double jump in order to reach the dummies on the other side with your long range attack as well as killing the group of smaller dummies that run at you. Last up, the fury attack. Go to the centre of the room to trigger this final fire tutorial. Kill the waves of smaller dummies until the circle to the left of your health goes completely purple, this means that your fury is full and you have the ability to unleash a devastating attack which kills all nearby enemies. Flying through the sky your task here is to reach the next area, to survive basically. Using the slow down and speed up controls will deplete your green meter though in this level it will then go back up by itself, firing will also take some of the green away. This gives you some limits as to what you can do, you can't just speed all the way through and you can't just flame all the way through. Avoid the Soldiers being fired at you, either by shooting the cannons that fire them or do a barrel roll to avoid them. You'll simply follow the set flying path and eventually get to the end, you don't really need to shoot anything but you will need to manoeuvre through some icebergs that are smashing into each other, fly through the gaps. Kill the two enemies, Trolls, using your fire breath and then walk towards the catapult ahead of you. Once you get back to controlling Spyro, kill the troll that appears directly in front of you. Then walk around the barricades next to the catapult and kill a couple of soldiers. Head back around again and smash into the tree with a melee attack, knocking three snowballs to the ground. Drag one of them onto the catapult and then hit it using the melee attack to fire it. Walk away from the catapult and collect another snowball. Reload and fire again. Then a third time to finish off the barrier. Go through that barrier. A commander will block the path with a strange white barrier that will hurt you if you get too close, so instead kill all of the soldiers that attack, and once they are he'll kindly lower the barrier for you to go through, reach the top of the thing he's standing on and kill him. Go left into the fort now, through a smashed wall, and walk along the path through to another catapult with a handy tree nearby. A commander will again bring up a white barrier so load the catapult and fire it. Move on through the now empty area, not for long though. A commander will appear along with a couple of leaders and a horde of soldiers. Kill the soldiers first, then move further along to the leaders. Some more soldiers will be dropped in from above in an exploding barrel, kill them all and the commander will run off. Follow him round the corner and you'll meet a new type of monkey enemy, the cannon, and in this case it's an ice cannon. Smash the barricades blocking your path to get up to it whilst simultaneously avoiding the ice stream being fired at you. Once you manage to get up to it it's a simple task of smacking it about a bit. Continue along the path to the right until you trigger the next cutscene. Another commander will set up another ice barrier up ahead. Directly ahead of you you'll see another new enemy type, the Ogre. Flame its first body, similar to the trolls, but it then turns into a floating monster which is slightly more difficult to kill but if you quickly attack it with a continuous burst of flames, it'll die just as fast as the first part. Also you'll have to kill three trolls to your left where you can find the tree that you need to get a snowball from. Fire it and kill the advancing soldiers. Go on up past where the barrier has now lifted and go to the right. Kill the many oncoming trolls until they stop coming, just kidding, they will keep coming until you destroy the tower that just gave you your new breath ability with the catapult so either do it quickly or use this to your advantage and earn a lot of 'free' experience to upgrade your fire and electric attacks (it'll take a long time and a lot of kills though so I don't really recommend doing this). Either way, once the tower is smashed (three snowballs needed), you can move on past it as it will no longer kill you, also the trolls will stop. Go down to the right, into the doorway and out the other side. Collect those gems and advance towards the blockade in front of you. Some trolls will then charge out, kill them. An ogre will be behind you to kill and then the doors will start rolling out the barrels, keep away from the walls behind you as they will explode. Again some more trolls to the front and a couple of ogres behind. Some dreadwings will start destroying the blockade but first you'll have to deal with a commander and a load of soldiers. Once they're all goners move on through the open doors and around the tower. Follow the soldier into the, obvious, trap. Kill all of the soldiers that arrive and the far doors will open revealing a commander to kill. Kill him, of course, and the soldiers and leaders in the immediate vicinity before leaving via the gap in the wall on the right. Looking up you'll notice a lot of icicles overhead, charge down this corridor to avoid them and reach the far end safely. The odd habit of blowing their own stuff up continues, kill the newly arrived soldiers and more will arrive. Keeping killing until they stop arriving and go on forwards through into yet another obvious trap. Kill the large yak with a sustained burst of flames. Another two will appear along with some trolls, kill all of them and go through the open gate to the next part. Kill the three ogres by various means and you'll witness yet more nutso antics. Jump over the barricade and go to the left, through the smashed wall. Go down the corridor and out the other side. Jump up and fire a fire bomb at the leader throwing dynamite at you, kill the soldiers popping out of the ground as well, and kill the commander when he comes back in. Moving on through the doorway, smash up the blocked up door at the far end next to the cauldron. As you go through the next bit some soldiers will arrive explosively from the skies, so watch out for them and kill the leaders up high using the secondary fire attack. Walk through the next bit and then jump over the barricades. Kill the advancing soldiers before smashing down the wooden door on the right. Kill the commander at the far end, walk through the door next to him, jump over the barricade, kill the two leaders and smash down the wooden door next to them. Blow up a room full of rigged gem clusters and walk in to grab them. A bunch of soldiers will appear behind you which you'll want to kill. Smash the barricade blocking the doorway on the right, go left, smash another barricade and out to another open area to the left. Kill the soldiers and go to the other end. Kill all of the leaders here and again smash through another barrier blocking a doorway. One more wooden door to smash through on the left now. Move along the path, turning right just before some gem clusters. Run and jump across the bridge, it'll start to collapse once you set foot on it, and you'll reach a large open area. Go to the left and four Dreadwings will fly past, dropping an exploding barrel. Ingore them and go forwards past them to the far end of the area where you'll be set upon by a group of enemies. A quick way to take care of the many Dreadwings you're about to fight is to drag them off the side using the electric breath (at least one or more upgrades applied for better effect), oddly they won't fly to safety but instead die right away. Anyway, kill the few monkeys near the broken bridge and once you kill the commander a couple of Dreadwings will arrive. Kill them both and another pair will appear, during the fight with those two some monkeys will be dropped in. This will go on for quite a while, so just keep killing all the enemies that you can see and you'll eventually e taken automatically to the next area. Kill all of the soldiers and go through the only exit to some gem clusters, keep going and you'll reach the first boss of the game, the Ice King. This oversized Troll doesn't stand a chance. Using your secondary fire breath, fire bomb him whenever you have the chance. Double jump over the spiked blasts of ice he sends out every so often and melee the icicles that fall onto the ground in order to refill your gem meters. Keep pummeling him with the fire bomb until his first health bar (yellow) is empty. His second bar (orange) is taken care of in the same way, just keep hitting him with the fire bomb and avoiding his attacks. The third bar (red) will have him add breathing ice to his repertoire. Getting hit by this will freeze you in spot and allow him to hit you again. That's the last of his health, and once dead you'll free the guardian and get on with properly learning the electric attacks. Walk into the main room of the Dojo and wait for Volteer to get to the far side to begin. First you'll be told of the very basic primary attack that you've probably used and its ability to throw enemies at things. Use the breath on each of the four Small Dojo Dummies and drag them into the targets behind them to pass. Next you'll be taught how to chase them, it's just like the fire breath tutorial before, just corner and kill. You'll now learn the secondary attack of electricity, this is unlike the fire bomb in that it captures the enemy and holds them up in the air for a while. It may look like it flies off wildy in any direction but it in fact homes in on the enemy and will still hit it. Once it is up in the air you need to jump up and melee it, so don't be too far from it when you fire the electric arc. Next is a mixture of the two previous exercises, just fire wildly around multiple times and melee the ones that you hit, it'll be quite easy if they get hit more than once as it will then hold them up for longer. And finally, the fury attack. Kill all of the small dummies and then unleash the fury on the medium ones. Jump onto the small islands in front of you and you'll reach the real start of the level. You'll see a soldier, again it's a slightly different design to before, and it'll run inside the tunnel. If you jump up to the left of the entrance you can smash some pots which will give you gems. Now follow that soldier into the tunnel, he'll run a short distance further away and call in a few buddies. Kill them all and get moving again. Head down the inside of a hollowed out tree trunk and enter the next bit. Kill the soldiers that are there, ignore the large commander up high for now, and then kill the leaders and soldiers that arrive afterwards. Go to the left hand side of the area and use the tail strike attack to activate a stone switch, this will raise one of the three lowered totems. Now go to the right hand side and go through the tree trunk. Don't step on the stone square on the ground as it triggers some deadly deadly darts to be fired from the thing in the wall. Go to the left and through another tree trunk. Follow the soldier as it jumps to the left and kill it and its partner. Again, tail strike the stone square here then head back to the trunk, after killing the leaders of course. Smash the spikes in the middle of the darts to allow yourself the ease of just walking through when it's safe. Jump up to the right to kill an Earth Cannon, then turn around and go to the left and go up the steps. Kill the soldiers, leader and commander to free Kane, an Atlawa. A dreadwing will appear, kill it then turn around and go to the left. Tail strike the switch in the middle of the two darts and then get out of the way before they shoot you. Kill the commander up above. Jump onto the lowest of the totems, then to the one in the left corner in front of you, and then on top of the tree trunk directly ahead. Go to the left at the end and kill the Armourdillos, a new enemy these roll about, fire is a good way of killing them quickly. Moving on, kill the three Armourdillos below and continue to the left. Kill the soldiers and leaders in the next area, then activate the two switches. Jump up onto the seesaw and then backwards to a pot. Standing on the left end, jump to the path. Kill the two leaders up ahead, jump over the leaf pit and attack the commander and leader beyond. Again jump over another leaf pit and kill another pair of Armourdillos that roll up. Continuing round to the left you'll meet up with a new enemy, a Rubble Brute. A burst of fire will knock it off its feet whereupon you can either melee or continue fire attacking it. Walk along the bridge ahead and chuck the advancing soldiers off the sides with your electric breath, and do the same with the Dreadwing on the first island. Go over the next bridge, kill the rubble brute at the far end by the same process and then again with a couple of Armourdillos that attack. Do the same to another brute on the other side and then glide down to the other end of the broken bridge and go inside the entrance. Avoid the darts and you'll get to the next area. Trapped in by a green barrier you need to kill the Armourdillos, then a bunch of soldiers will arrive, more and more soldiers will keep appearing until you get near the top and the commander walks in (dragging all of these off the sides of the thing kills them easily). Kill him to lower the barrier and advance. Kill another Dreadwing and jump over to the islands ahead. Kill the soldiers and then the commander who arrives a litle later. Jump over to a small platform, ignore the broken bridge to the right (you can get to the island if you want to, but all it has is a few pots with gems in, use the large stepped rocks on the island before it to get high enough to glide over to it) and go along the working one. You'll reach an area with a load of waterwheels, to activate the first you need to tail strike a switch to the right. Once you do so a few Armourdillos will arrive for some reason, so kill them and move on to the second switch just past the decoration. The third is by the Earth Cannon on the left. Go to the waterwheel and stand on one of its blades to reach the next level of the area. Kill the Earth Cannon and then activate the two switches near it. Head to the right and you'll find the third switch near to the waterwheel itself. Again up to the next level and destroy the cannon on the left. The first switch is behind it, activate it and then go to the right. Destroy another cannon and activate another switch near it. Go further right past the waterwheel and activate the third and final switch. As you go up the waterwheel, kill the two earth cannons on either side, then go along the river a very short distance, kill the brutes here and a door will open. After learning Ice Breath, jump down and kill the four brutes below and a door will open, go through that door. Kill the soldiers in front of you, then the extras that arrive, and go up the stepped platforms on the left. A few leaders will jump in, kill them. Keep going upwards towards the commander, destroy the Earth Cannon just ahead and take out the enemies that attack you as you get close and then kill the commander. Go down the hollow tree trunk behind him and turn right. Attack the cannon just a little further along as well as the soldeirs that appear to guard it. Smash through the barricades below the swinging tree trunks and kill the Earth Cannon on the other side. Kill the two leaders on either side of the path and then continue on along a short distance where you'll find a commander to kill on the left. Moving on past him, you'll enter a large area with a shallow pit in the centre. Keep killing all of the soldiers as the appear and finally kill the commander up on the left to open a couple of doors blocking the way. Both doors lead to the exact same place, so either go left or right it doesn't matter. Turn left at the corner and keep going until you see Kane again. Turn right and kill the leader, turn left and kill a few soldiers, keep going straight and then jump up to the left onto the platform there. Kill the commander up here and then jump up onto the stone on the left. Jump up behind you and kill the earth cannon on top of the pyramid, then kill the other two earth cannons below. Inbetween those two cannons are a couple of switches which you will need to activate. Jump down to the now open doors below you and drag the stone balls, like the snowballs previously, to their spots. You'll find the spots in each of the four corners of the current area, two on each side of the doors. Once they are all in place a wooden gate will slide down, make your way there by gliding from the top of the pyramid. Now glide down to the islands below, making your way towards the large ship and then step on board. Once you get onto it it will start moving. Switch to electric breath here, it makes it a lot easier to just throw all of the enemies off the side. Keep knocking them off, you'll go through several waves of each kind of monkey, soldiers, leaders, and commanders before the ship reaches its destination. Once the waves stop you'll have arrived. Jump off where you got on and then up a few platforms. Go up to the left and you'll find a few Armourdillos waiting. Kill them and then go to the left. Smash the spikes that are in the way here and then smash some more where a large tree trunk is swinging a little further along so as the be able to walk along the sides and past it. Go to the left (you can ignore the switch directly ahead) and turn left past another swinging trunk. Jump over a set of pressure pads with several dart on either side and turn left to find a Rubble Brute. Kill it and then another to the right. Keep going down the path and then turn left to meet Kane again. Walk forwards along the bridge to reach the boss. For the first bar (yellow), simply hit him a few times with your fire bombs whilst keeping a safe distance and so avoiding his fist. Orange is much the same, keep your distance, regain gems from the clusters, and then red is once again identical to finish him off. Time to learn all about you recent ability addition, Ice Breath. Walk through into the central room to get started. First the basics, freeze the advancing dummies and then melee them to death. Then the chase part, just do the same as usual. Then you learn the Ice Shards attack, hold down the strafe button and you'll automatically target each of the dummies, lining you up for the kill if you're having a bit of trouble, holding down the secondary fire button might also help. Next it's a chase version of it, just do the same again really, run around holding down the fire button. And finally, the Fury. Kill all of the Small Dojo Dummies and then fury the Medium ones who will appear the wave after you get full fury. Kill the two Soldiers in front of you and then walk towards the right. A few Soldiers and a Leader will run down the slope, once they're dead you can get past the firey barrier that was blocking the top of it. Just inside you'll meet Fire Beetles. These little guys turn up in droves but are easy to kill, make sure to destroy their hives on the walls to stop more of them spawning. Walk a little further down the tunnel and you'll see the monkeys in the next room. As you approach, fire some bombs at the commander standing on the left, glide over to him and finish him off. Kill the few Soldiers on the ground, a few more will arrive, kill them, some more and a Leader will appear, and finish those off. Now go up to the door in the middle and smash it down. You'll meet Mole-Yair, leader of the Manweersmalls. With that task in hand, move along down the path forwards in front of you directly ahead. You'll see the first guy the free after the first drop, smash the little crystal holding him in place to free him. Kill the pair of Soldiers just below and then you'll trigger another monkey introduction. Run into the room and blow up the explosives on the left, and kill the Commander and his Soldiers of course. Go to the right, in the first room you'll find a couple of Leaders and a pair of Manweersmalls to free. Go through the door here, kill the Fire Beetles and turn left. Smash down the door and kill all of the many Soldiers, Leaders, the Commander and Fire Beetles inside. Smash through the door on the far side, kill the Soldiers and free the two Manweersmalls, that's all of them. Go through the newly opened passageway ahead of you and kill the Soldiers. Just past the first fire pit are a few Leaders, drag them into the lava and then some more will appear. Kill them and go on around the pits. You'll then be introduced to a new enemy, the Magmaworm. These little beasties won't die if you drag them into lava so you need to be more creative in your murderous rampage through the Forge. Instead, try using your Ice Breath and freezing them until they smash. Keep going down the path and you'll be attacked by a crowd of soldiers, kill them and then the Leaders and Commander standing around near the exit, currently blocked by a fire wall of the Commander's doing. Once they're dead go through the doorway and kill the Fire Beetles and their hives. In the next room you'll meet yet another new enemy, a Buffalo Beetle. Ice Breath again is quite good at killing this little one too. You can easily skip killing the next room of enemies by just jumping over the turning things to get to the ledge on the far end, but killing things is so much fun, right? Either way, go down the tunnel, kill the Soldiers and then jump down. With your new breath in tow, kill the Soldiers and Leaders that just arrived, then it's off to the left and away! Kill the two Leaders and the Commander just up here, then follow the path around behind him. The rather obvious puzzle is set. Destroy the Fire Cannon to the left, detonate the explosives behind it and walk up the slope on its right. At the top you'll find the first lever to push. Jump down and kill the Commander guarding the lever next to the large door and then flip the lever. The final lever is up a slope on the right side of the room, just knock all of the monkeys off then hit the lever to finish opening the gate. The objective of this minecart bit is to stay alive and to destroy the caboose, you could call it a boss fight but it's not really at this point. Accelerate by pushing forwards and fire on it using either breath attack buttons, they both do the same thing here. Keep as close as you can get and keep pummeling it, the life should be quite a way down by the time the track splits so you're going sideways. Now hold down right and fire at the caboose again, keep behind it to be able to fire on it and the tracks will join together again allowing you to smash the back constantly. Just keep firing, gems fall off the caboose healing you so don't worry about that. You'll eventually spilt again and the caboose should be destroyed by this point, the train, Steam, will then get behind you and chase you a little. Keep ahead by holding down and you will reach the end. Walk forwards, past the Gem Clusters and you'll meet a Buffalo Beetle, just throw it off the side with your electric breath. Keep going straight and you'll get to another one, and then a pair of Dreadwings will arrive a little further along. Keep kncoking the enemies down as you get to them, first some Magmaworms, then another Buffalo Beetle, and then another Dreadwing at the end. Jump up to the tracks above and go along them in the opposite direction to the minecarts. Jump around the oncomming carts and use the little platforms off to the side if you need to, though first clear them of monkeys with a quick electric shock. Once you reach the other end, minecarts will stop appearing so you can go into the tunnel, kill the Fire Beetles and advance through to Exhumor. Jump down from the tunnel and smash the cage on the left, then light the fuse right next to it. Go around the now destroyed building and smash another cage further along on the left. Going right now, there's another cage a very short distance away. Continuing around the area, there's a cage on the left of the door and then the last one is on the right. Head through the opened door, which will shut behind you, and kill the three Soldiers that attack. Continue down the path and knock the Buffalo Beetle off the side behind it, a Dreadwing will then appear which you'll want to do the same to. Turn around and go down the path on the left, avoid the steam vents on the right and then jump up to the left. Jump down onto the platform just below, then down again, then up to the left, kill the monkeys on here, then off to the right, then jump up ahead and kill the Commander. And again up to a Leader, then up all the way to the exit. Kill the many Fire Beetles before carrying on through. Walk down to the bottom and light the explosives next to the pair of Buffalo Beetles. Kill all three of them in this area and then smash through the cracked wall at the bottom of the tree. You'll find yourself in a large room full to the brim with Fire Beetles. You can either just ignore them and go to the door on the other side of the room which will open if you stand right next to it, or go on a crazy killing spree wiping them all out. Either way in the next bit, kill the Magmaworms and then light the explosives at the far end. Go up the slope on the right around the centre of the room and up to the top where there are minecarts whizzing around. Jump over the tracks, detonate the explosives and free the two Manweersmalls next to the far wall. Go to the right and free another pair next to the wall there. Detonate some more explosives on your right now and go past them to free yet another. Off again further along, you'll see another Manweersmall across some tracks, some explosives to the right, another Manweersmall next to them and the Leader of course. Once they're free head back to the start of the minecart area and continue upwards. At the top of the slope, jump onto a platform on the left and then to the very top and kill the Commander. Now head through the door and you'll reach the boss fight. Stand in the centre of the track and wait for Steam to eventually turn towards you. Jump out of the way at the last minute and he'll hit a wall. Attack him however you like when it's in this position, be it melee, breath or whatever. His green bar should deplete quite quickly, perhaps you may need to repeat the trap, and then turn into a new yellow bar. Again repeat the process until he goes to an orange bar. Each time his bar changes colour he'll get a but faster. After orange is red and then he'll start spewing fire from his wheels, making it harder to jump out of the way in time. Just keep luring him to the centre so that he'll potentially hit the wall and allow you free access to attacking him. Once his red bar is gone he'll grind to a halt and you'll win. Another on rails fight level. Just keep ahead of Cynder by not slowing down all the time, avoid the Dreadwings flying at you and go around the lava flows. You;ll eventually make it to the other end. It's time to learn the Earth Breath for real. Walk through to where Terrador is waiting to begin. The basics first, shoot the dummies with your breath. Then it's the chase sequence. And then you learn the Earth Bomb attack. Keep inside the green circle and fire wildly at the running dummies until they're all dead. Next you'll be using it again in a more wild situation. Chase after the small dummies and fire the bomb at them and melee them when they're in the air. And finally the Fury attack. Keep killing the smaller dummies in whatever way you want and once your Fury meter reaches full Medium Dojo Dummies will attack and you can unleash the Earth Fury on them to complete your training. Walk forwards and follow the path until you see a Leader who runs off again. Kill the Soldiers it leaves in its wake and then go throught the gate the Leader smashed. Follow him a short distance and you'll be able to kill him, keep going past him and you'll be introduced to a new enemy, an Electric Leech. Using your Earth Breath you can quite easily kill it, just stay out of the water when it's in it as well. Smash down the gate on the left and make your way towards the large doors ahead. Attacking the Commander, who has just trapped you in a purple barrier. Keep attacking him as soldiers keep pouring in as you kill them as well. Once he's dead some Leaders will appear with yet more Soldiers, then another pair of Leaders with more Soldiers afterwards. Waves and waves will keep coming until finally the doors open and more Soldeirs pour out. Once they're dead head inside and kill the Leader straight ahead and then the other leader on the left. Stand inbetween the lasers when it's furthest away from you and walk past once they switch. Kill the last remaining Leader in the room and go through the door that opens. Kill the Soldiers on the ground floor and then jump up to the next layer on the right. Kill all that come out of the door infront of you, the last is the only Leader to appear. Then jump up the crystal platform to the next layer. Throwing them to the very ground floor will kill them, but throwing them down to the previous layer won't, so make sure to throw them the right way. A pair of Leaders will finish off this bit. This third layer will then be a bit longer, you can throw them off anywhere to kill here. You'll also meet a brand new enemy, a Conduit. You can just kill them here with the same method as the monkeys so don't worry about it too much. The last enemy in this bit will be a Commander. Jump across the crystal platforms, knocking off the two Soldiers, and kill the Leader at the far end. Continue left and you'll be shown some Brutes, Crystal Brutes this time. Jump up to the left to reach them. Use your Earth Breath to knock them about and finish them off quite easily with repeated bursts of it, though they will also die in the same way as the Rubble Brutes by blasting them with a bit of fire and then meleeing them. Continue left and kill another. Jump up to the right and then down after the little cutscene. Kill the Leader and the Soldiers, carry on to the left and then towards the large doors. Wipe out the large crowd of Soldiers that attack and then exit via the door that opens. Go to the left and a Commander will attack. With his hordes of Soldiers and Leaders you'll want to kill him and them as you're currently trapped. Keep killing the waves of Soldiers and Leaders that appear afterwards until you finally kill them all and the gate loses power. Jump up and kill the Crystal Brute just ahead. Once the next two Brutes are sorted walk a little further along to fight another Comander. Kill the Soldiers that run towards you and then the Commander on the ledge. Kill the extra Soldiers that arrive on the floor and then drag the Leaders off their platforms. Keep killing until finally a Dreadwing arrives, he's the last wave. Jump up to where the gate was and step onto the lift. Electric Breath is very useful here, drag the monkeys off as they leap onto the lift to kill them very easily. Once it stops, get off and you'll be in a Conduit room. Here you'll really need to kill them so use your Earth Bomb attack to trap them in the whirlwind and then melee them. As long as you don't run out of breath power this shouldn't be too difficult of a task to do, and even then just meleeing them will do the trick. Just keep meleeing them until you've killed quite a few respawns and the crystal platforms rise. Jump up to a Soldier and Leader, kill them and go through to the outside. Jump to the platform ahead, go around it and jump to the next one. Knock the Leader off and jump to the next platform where you'll want to knock another Leader off, then another platform with another Leader, and then you'll land on a large platform where you'll be trapped by a Comannder. Knock all of the Soldiers through the barriers until it vanishes and the Commander lets you get close enough to kill him personally. There are two ways down, either just jump and hold down on glide without a direction to slowly fall safely to the ground, or you can work your way down the small ledges sticking out, knocking a couple of Leaders off on the way. The ways aren't that different and all get the same result, to the bottom. Kill the Soldiers and Conduits that keep appearring until the doors open. Go outside and kill the Electric Cannons on either side of the Commander first and then all of the other monkeys including the Commander. Once they're dead the barrier will drop and you'll be able to continue. Whilst fighting these Soldiers, keep out of the spotlights from the Tesla Towers as otherwise they'll shock you, they're also quite nice and will shock the Soldiers and Leaders that fall into the spotlights as well. Once they're all dead move on ahead. Kill the Soldiers and Leader that mount an attack on you, then a pair of Leeches next to a Crystal Brute. Going on to the right now, kill another Electric Leech and then jump over the previous path. Kill the Brute ahead and then another down to the right. You'll now reach a point where there are a couple of rows of Tesla Towers. Avoiding the spotlights, kill the Soldiers and the Commander at the far end (throwing him into the spotlights is a nice way of killing him) and then the waves of Soldiers that appear afterwards and the barrier will eventually vanish. Going through, you'll reach a gate to smash down and then you'll enter a large area with steps leading up to Cynder's Fortress. Destroy the Electric Cannons on each side of the gate and then all of the Soldiers, Leaders and the Commander. Once they're all gone you get to fight a boss. Very similar looking to the Ice King, except of course for it being electric rather than ice, you'll want to deal with it in a very similar way. Run up to it and attack it with your melee attacks and your breath attacks. Avoid his sword but he won't do much else at this point. Recharging your gems is simple as the shards that he throws down smash by themselves. Just keep hitting until his bar goes to orange. Keep the same tactics and he'll go to the red bar. And once again do the same and you'll have beaten this joke of a boss. Go through the door and a Commander will cast a spell on six points around him. Kill him, and the smash each of the six points to allow the life to go upwards. Step on it and you're off. Throw all of the enemies that jump on off and you'll then stop at the next layer. Kill all of the Soldiers and Leaders around here to free it and allow you to smash some more crystals to let the life continue on its journey upwards. A very short distance to the next level, just throw all of them off down the gap and you'll eventually be able to carry on upwards again (note that if you jump to the level below the lift will come down to let you get back up). Again another level and another six things to smash after killing loads of monkeys. There are no more enemies to fight on this final ascent. Select Earth Breath and trap Cynder with the Earth Bomb attack, then keep pummeling her with Earth Shot until she dies or you need to refuel your breath. Smash the gem clusters for gems of course. You only need to beat the one green bar to finish the fight. Convexity is a nearly empty world, you just need to make it to where Cynder is which involves a lot of jumping a gliding. Walk forwards and glide towards the platforms ahead. Keep jumping forwards a few times and then go left. Follow the path around and then jump up to the left, jump up the platforms and then right at the top on the second singular platforms, leap onto the large Jellyfish to the right. Jump down the platforms heading left now. When you get to the larger platform just carry on up the tiny ones right after it. At the slight fork in the path go to the left, and then just keep on the path upwards to a large platform high up. Once you reach the very top, glide just to the right of where you can see Cynder flying about and land on the platforms there. Jump down, past the Jellyfish and then go up the many small platforms ahead. Keep going up this straight path, past the Jellyfish and over many, many gaps. When you get to another Jellyfish, jump on top and then use the platforms directly after it to go to the left and to jump onto the final platform where you can see Cynder. Again use your Earth Breath to defeat her first yellow bar, then on her orange one she'll start to circle the arena firing a rather hot flame attack. She'll do this a few times and then stop, take this break to smash her orange bar down to zero with the Earth Breath again. Once she loses her orange bar you'll gain a new breath, Convexity Breath. Hit her a few times with it whilst avoiding her own breath and her red bar will be gone. Once the bar is at zero and your Fury meter is at full, unleash your Fury and finish her off. Roll Credits. Just finished this game for the first time, what a great story! Will be picking up the next two for sure! the cynder boss battle is easy. @ awesome guy You don't say? @Sky the Dragon i have noticed that too, always said this every time i play or watch my mom play " why the fluff did they do THAT. " i think the order that u rescue the dragons should be this ( after u find ignitus) : Cyril, Terrador, then u find Ignitus again, then Volteer. IT WOULD JUST MAKE SO MUCH MORE SENSE DONT CHA THINK???? Have anyone but me notice that each level (after Ignitus teaches you how to use the fire breath) that each level shows the next elemental breath that you will learn? so is it me or have someone else notice this as well? i love this game! i finished it! in convexity it soounds like malefor is saying spyro. OMG when i get past that steam things i only see gems and if i move the camera up i can see the volcano and if i jump down,continues falling there is no platforms i see i need help!! !